The race for smallest possible microprocessors is finally decelerating. As the tech world braces for Moore’s law to slow down, space in the gadget world is increasing day by day. While flagship smartphones make for the majority of our focus, pretty soon this just might change. 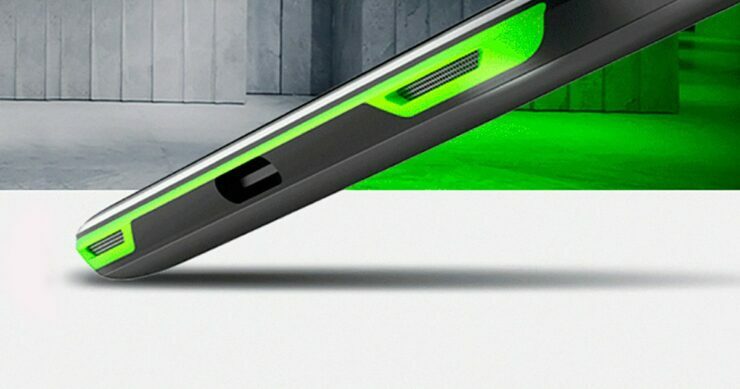 Razer broke ground for an interesting smartphone niche recently. Its Razer Phone looked to serve folks who love both high-end gaming and smartphones. The gadget is a first proper attempt to bring performance intensive gaming to the mainstream. However, it won’t be the only offering in the market for long. 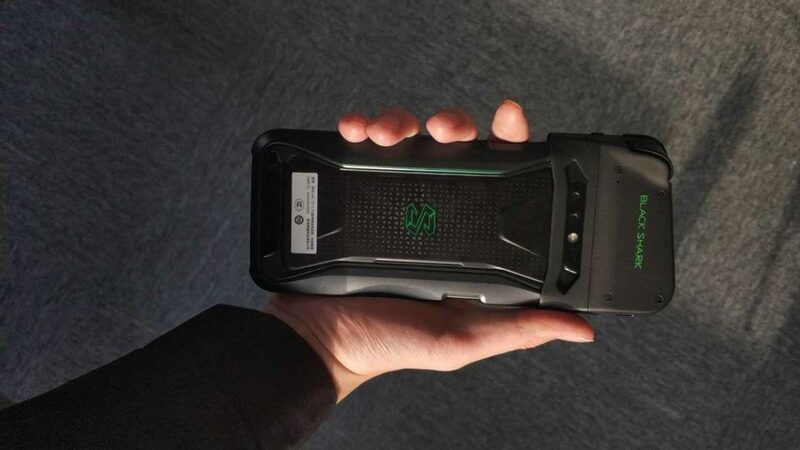 Today, we’ve got a fresh leak for Xiaomi’s highly-hyped, Blackshark gaming smartphone. Take a look below for the details. News for the Xiaomi Blackshark isn’t new. The device is a regular feature in the rumor mill, making rounds since the start of this year. The smartphone will run on Qualcomm’s Snapdragon 845, marking for Xiaomi’s second smartphone with the San Diego chip giant’s latest silicon. It’s rumored with the same host of features we’re seeing for the Xiaomi Mi7, which includes under-the-display fingerprint recognition. Some of the rumors for this device have also been debunked. One of these claimed that the Blackshark will launch featuring a gaming pad, but recent information from reliable sources contradicts this claim. Now, if you’re wondering what the gadget appears like in the flesh, we’ve got you covered. As you can see above, the image does not depict the smartphone only. Instead, it appears with a gaming pad or some other casing. The branding Blackshark is clearly visible at the top, with a dual camera setup following underneath. If you look closely, the device doesn’t have a rear fingerprint sensor either. This adds to the rumors of virtual fingerprint sensing mentioned above; looks like Chinese OEMs will take the lead for this feature in 2018. All in all, the Blackshark does its best to resemble a GPU in terms of external aesthetics. We just hope that Xiaomi doesn’t compromise on quality, even in the slightest. Additionally, if the company can equip the gadget with flagship level rear camera performance and match/beat Razer with software boosts and variable refresh rates, we’ll definitely have a winner on our hands. Thoughts? Let us know what you think in the comments section below and stay tuned. We’ll keep you updated on the latest.